The MTV Video Music Awards are always a good reminder of how much I miss basketball. They happen at the end of August, during the NBA’s graveyard shift: there are no games, no free agents signing, no trades … nothing. With that in mind, and with another MTV Video Music Awards in the books, join me down another Internet rabbit hole, as we very proudly present the Second Annual NBA Video Music Awards. These videos have gone through a rigorous selection process over the past 12 months. They were filmed at a number of different functions and charity events. 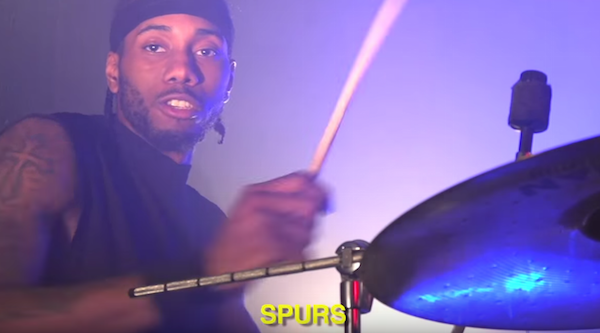 They truly represent the best the Internet has to offer in terms of filmed musical performances by professional basketball players in 2015. This performance is exactly why Spo is a top-five coach in this league. He’s off tempo, laughs on stage, and forgets the lyrics. I’m not convinced he’s ever actually heard of “Billie Jean” until this night. Still, he carries on entertaining the crowd like the two-time champ that he is. Steven Adams is one of the few NBA players who can make you laugh because he’s trying to make you laugh. Why is he singing the first verse like an angry pirate? To make you laugh. Why is he singing the chorus in a sweet falsetto? To make you laugh. Why did he scream “F***ING HIIIGH!” at the top of his lungs during the second verse? Probably to make himself laugh, but he managed to kill me in the process. 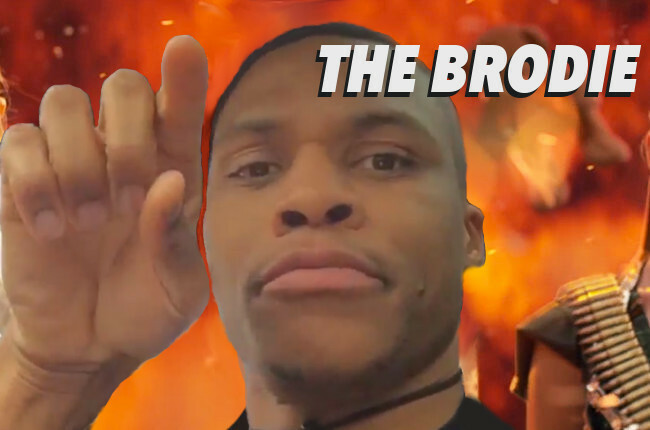 If Mark Cuban had just shown this video during free-agency pitch meetings, DeAndre Jordan would be a Maverick right now. Who doesn’t want to work for this dude? Look at how much fun everyone is having. BAD BLOOD!!!! @taylorswift .. Banger!!!!! Every time someone mentions “Bad Blood video,” my mind immediately goes to the Russ version, not the cameo-filled Taylor Swift blockbuster that looks like it cost more money than Ant-Man. Little did Taylor know, all she had to do was get Russ to point at a camera and she could’ve received all the hits at a fraction of the cost. Rumor has it, George Karl wanted to trade DeMarcus Cousins until he saw this video. It’s no surprise to see Dirk on this list. It is a surprise to see how Dirk got on this list. 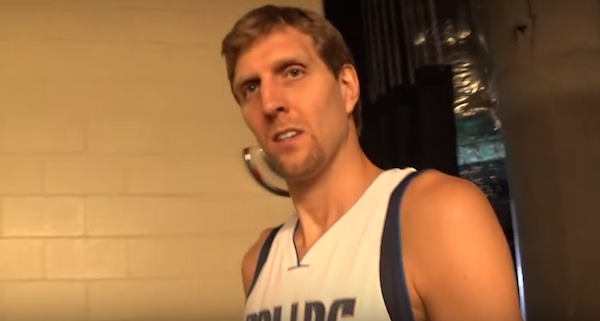 As the guy asks his question, Dirk keeps ignoring his presence, walking along, saying hello to others. No way he’s answering this silliness, right? 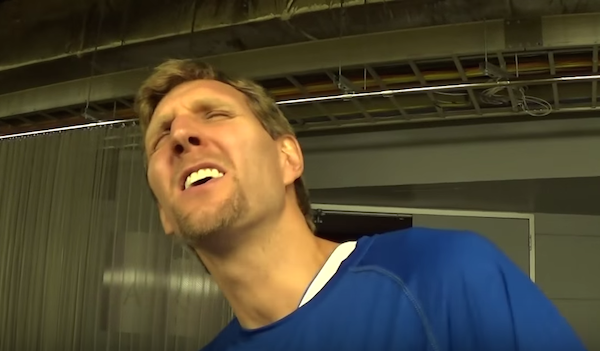 About midway through, we are all reminded that Dirk is where amazing happens. Not only did he answer this dude’s question, he went ahead and broke out in song — claps and all. My choir teacher used to constantly tell me to avoid raising my chin when I sing high notes, because this subjects our throats to strain and could tire out some muscles. I did it so often, she began to dislike me as a person. This video goes out to that choir teacher, who’s probably losing her mind at LeBron’s singing technique. I, for one, am very pro-keytar and this band has two. Every single person who had anything to do with this video deserves a hundred trophies. The music, the makeup, the edits, the lyrics, the smoke, the kiiiiller graphics — it all came together so perfectly. Now he’s the next MJ. 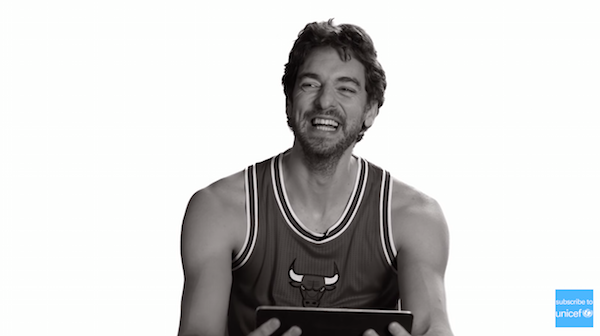 Are there people who don’t like Pau Gasol? Because scientists need to study their brains so we can understand the criminally insane. This is perfect. Gasol is perfect. Spain is perfect. Gasol sang for Unicef’s “Imagine” project and gave it his all because he’s a tender giant who just wants to make you smile. LOOK AT PAU. Last year, I concluded that Gasol gave no shits but after seeing him sing here, I’ve concluded that Gasol gives all the shits — he just doesn’t care what you think about him. Jason Gallagher is the founder of Ballerball.com and the cowriter of The Lockout: A Musical.